“The Government will introduce a Bill that will create a FinTech Development Fund for the specific purpose of holding funds to be used to invest and train Bermudians in the disciplines needed to support a FinTech economy,” Premier David Burt said in the House of Assembly today [June 15]. “We promised to create an environment in which Bermudian businesses can thrive, opportunities for Bermudians can be created and in which capable, qualified Bermudians can benefit from opportunities to train, work and succeed at every level. “The Memoranda contain undertakings that will see the various partner companies invest significant sums of money to support the training of Bermudians in this area, and in one case, focusing on nurturing a proper pipeline for creating basic, intermediate and advanced software development engineers. “It is important that the Government is ready to receive these funds and to ensure that they are paid out in accordance with the terms of their investment. “I am pleased to advise this Honourable House that today the Government will introduce a Bill that will create a FinTech Development Fund for the specific purpose of holding funds to be used to invest and train Bermudians in the disciplines needed to support a FinTech economy. “Honourable Members will be aware of other such Funds into which monies are paid from specific sources and the disbursement of sums from those Funds is regulated by specific, statutorily prescribed criteria. “Most notable are the Confiscated Assets Fund, established under the Proceeds of Crime Act 1997 and the Government Reserves Fund established under the Public Treasury [Administration and Payments] Act 1969. “It is proposed that disbursements from the Fund will be with the approval of the Minister of Finance and the Minister responsible for eCommerce subject to consultation with the Minister responsible for workforce development, and where necessary, consultation also with the Ministers responsible for youth development, health and sports. “This Government is committed to ensuring that Bermudians are equipped to fill the jobs that will be created and to ensure that this industry provides support for needs in the wider community. Mr. Speaker, Honourable Members will be aware of the various Memoranda of Understanding that have been signed by the Government as part of the development of the FinTech Industry in Bermuda. Mr. Speaker, with this push to develop another pillar of Bermuda’s economy, this Government is determined to cultivate local and overseas investment as we develop this new industry. We promised to create an environment in which Bermudian businesses can thrive, opportunities for Bermudians can be created and in which capable, qualified Bermudians can benefit from opportunities to train, work and succeed at every level. Mr. Speaker, the Memoranda contain undertakings that will see the various partner companies invest significant sums of money to support the training of Bermudians in this area, and in one case, focusing on nurturing a proper pipeline for creating basic, intermediate and advanced software development engineers. It is important that the Government is ready to receive these funds and to ensure that they are paid out in accordance with the terms of their investment. Therefore, Mr. Speaker, I am pleased to advise this Honourable House that today the Government will introduce a Bill that will create a FinTech Development Fund for the specific purpose of holding funds to be used to invest and train Bermudians in the disciplines needed to support a FinTech economy. Mr. Speaker, Honourable Members will be aware of other such Funds into which monies are paid from specific sources and the disbursement of sums from those Funds is regulated by specific, statutorily prescribed criteria. Most notable are the Confiscated Assets Fund, established under the Proceeds of Crime Act 1997 and the Government Reserves Fund established under the Public Treasury [Administration and Payments] Act 1969. Mr. Speaker, it is proposed that disbursements from the Fund will be with the approval of the Minister of Finance and the Minister responsible for eCommerce subject to consultation with the Minister responsible for workforce development, and where necessary, consultation also with the Ministers responsible for youth development, health and sports. [v] such other educational initiatives as appear to the Minister of Finance to be relevant to the development of FinTech and distributed ledger technology in Bermuda. [iv] there shall be an annual reporting requirement and a statutory requirement to table a report on the audited accounts in the Legislature. Mr. Speaker, there has been some background noise that seeks to diminish the work that the Government is doing in the establishment of this industry for Bermuda. We are in no way deterred from our goals by these criticisms and attempts to cast doubt in the minds of the people. There are steps to be taken in growing an economy and we are following those steps in a prudent manner, engaging best practice and advice in the development of legislation and regulations in support of FinTech and digital asset business. No step in this process has been taken without the involvement of the Bermuda Monetary Authority whose reputation as a regulator is exemplary. For the avoidance of doubt, every company seeking to engage in a digital asset business in Bermuda must meet all of the criteria established by the BMA. Mr. Speaker, Bermuda is doing what it does best; building a sound regulatory environment for an emerging global industry. 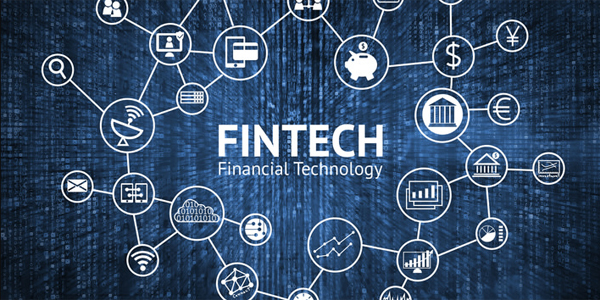 Bermuda’s leadership in establishing a strong regulatory regime is the very reason that companies are interested in bringing their FinTech businesses to Bermuda. Mr. Speaker, this government is committed to ensuring that Bermudians are equipped to fill the jobs that will be created and to ensure that this industry provides support for needs in the wider community. The creation of this Fund is another critical step this Government is taking as we execute on our promise to provide real support for sporting clubs, our seniors and career development opportunities for Bermudians. Probably placing the money into the fund, right? Not too transparent about what is happening and how the MOU money connects to the fund money though. But more importantly doesn’t this whole fintech programme of the Premier feel like the IB journey? It does to me and it seems the Premier is following a playbook from that industry, up to and including plans to develop Bermudians. But look at how that turned out for Bermudians decades later after giving away the ownership and senior roles to non-Bermudians in order to get the businesses on island. Possibly could make a case in insurance as it was an older industry. But fintech is globally a new industry, and Bermuda is a leader in the area. There is no reason why Bermudians shouldn’t be owners of fintech companies. Unless of course Bermudians themselves do not have any trust in the process anymore and simply are content to be employees. Also what I am seeing is, with the exception of the one company that is everywhere and very cozy with the government, the next gerneartion of Bermudians are simply being setup to be employees, and the current generation of Bermudians are being overlooked. So much for Bermudians first when it does not include all Bermdudians irrespective of which generation they represent. And since this government is open and transparent every penny of that money will be openly accounted for! Starting with training and paying MPs so they can understand what FinTech is.